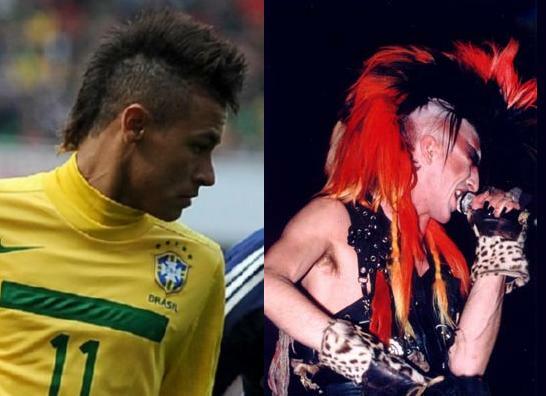 Prodigiously talented he may well be, but the fluffy mohawk plume which Brazilian starlet Neymar opted to sport during his two-goal run-out against Scotland at the Emirates this afternoon left him a pair of shredded fishnets away from looking like the lead singer for South America’s preeminent Sigue Sigue Sputnik tribute band. Either way, it’s not a good look. Bare in mind a certain Hamsek also styles his hair in basically the same manner but he pulls it off way better in my opinion.